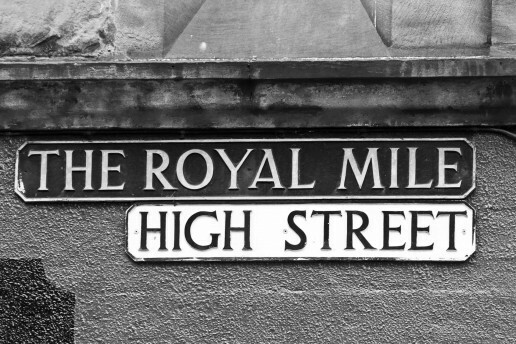 The World famous Royal Mile is a must see for the visitor to Edinburgh. Approximately one mile long it is a succession of streets forming the main thoroughfare of the Old Town running downhill from Edinburgh Castle to Holyrood Palace. Packed full of restaurants, cafes, bars and shops selling every type of Scottish memorabilia and traditional dress with buskers providing a varied soundtrack to the historic visitor attractions. 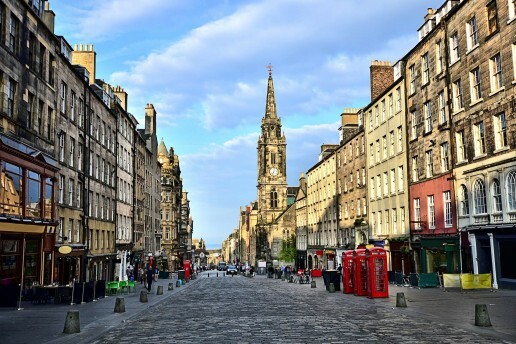 The High Street during the annual Edinburgh Festival becomes “The” place to see and experience the buzzing atmosphere of colourful street entertainers and pop up foodstalls.